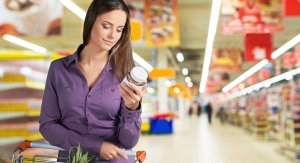 Consumers look for natural, healthy, and clean label products for a variety of snacking occasions. 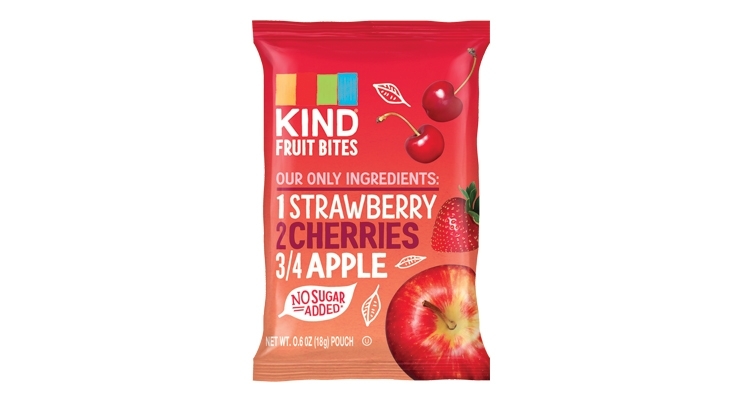 KIND Fruit Bites contain only fruits and no added sugar. RXBAR promotes its bars with a short list of simple, recognizable ingredients on the front of packages. DNX Foods offers grass-fed beef and bison bars that feature 14 grams of protein with organic fruits and vegetables. Mediterra’s all-natural nutrition bars are inspired by the Mediterranean diet. 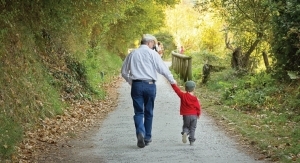 Snack Mates Grass-Fed Beef Sticks for Kids contain six grams of protein and 1 gram of sugar per serving. 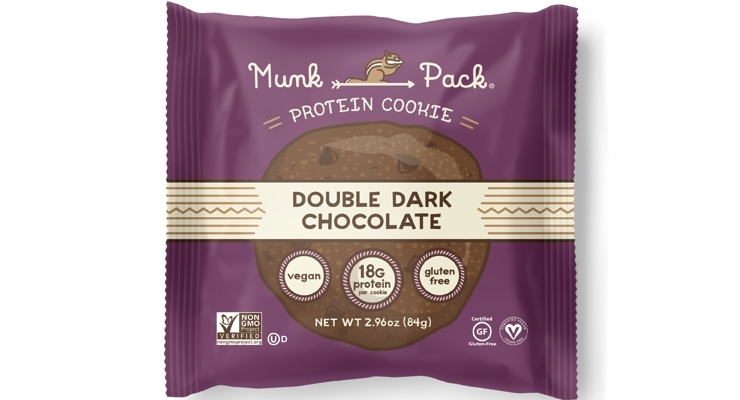 Munk Pack Protein Cookies offer 18 grams of plant-protein from nut butters and grains. 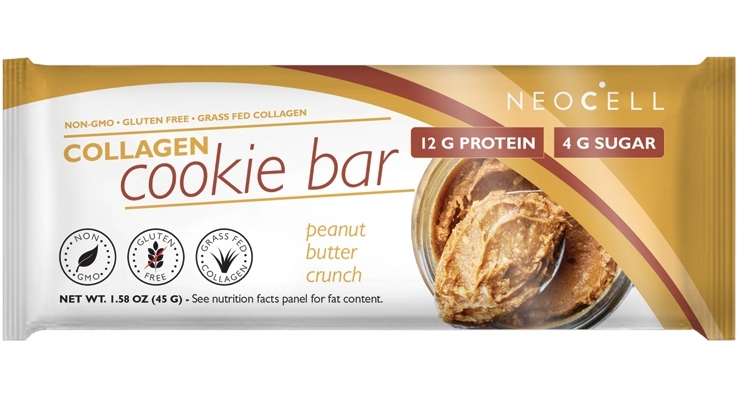 Neocell Cookie Bars contain collagen protein to offer beauty benefits. Eat Your Coffee uses a unique infusion process to fortify bars with caffeine and flavor from real coffee. A consumer push for healthier, more nutritious products has been a major catalyst within the snack, nutrition, and performance bar category. 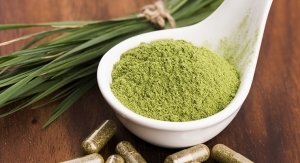 Market insight from Mintel linked this trend to increased opportunities for new premium-priced brands promoting “clean,” natural, and healthy ingredients in the U.S.
Category sales were up 24% in the U.S. between 2011 and 2016, reaching $6.7 billion, according to Mintel data. Looking ahead, the research firm predicted steady growth, with sales in the snack, nutrition, and performance bar space likely reaching $8.2 billion by 2021, a 5-year gain of 23%. Meanwhile, SPINS reported snack food sales have slumped across all retail channels. The $59.9 billion market in 2017 fell 0.9% from the previous year’s $60.4 billion total. But not to worry. SPINS reported consumers aren’t snacking less; they’re redistributing their purchasing power to natural and specialty snacking products, which are growing cross-channel while the conventional items’ market share is declining. But what constitutes a “healthy” snack? Consumers have a clear idea of what they want and don’t want from snack products designed to meet their nutritional needs. 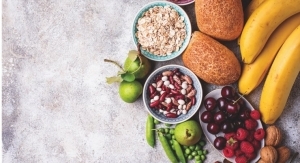 The 2017 IRI Snacking Survey found 60% of U.S. consumers want additional health benefits beyond nutrition (e.g., antioxidants), up eight points from 2016; while 59% said they want snacks that contain vitamins and minerals (up 2 points from the previous year). Additionally, 56.1% of consumers wanted no trans fats; 52.9% wanted low salt/sodium; 50.8% low sugar; and 46.2% low calorie. 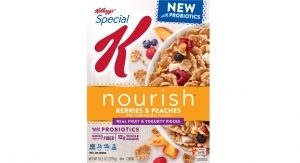 For those seeking certain ingredients, 64.6% wanted energy support (+4.6 points); 58% fruits and vegetables (+9 points); 56.6% all-natural; and 52.4% fiber (+4.2 points). 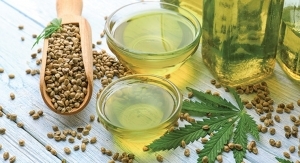 Sixty percent of those surveyed said they wanted fresh, unprocessed products, while 56.1% wanted no preservatives or additives. Needless to say, consumer demands are high. Topping the list, of course, is taste. IRI found 90.6% of consumers select a snack based on tastes/flavors they will enjoy. When it comes to bars, Mintel reported six out of 10 bar purchasers cited a favorite flavor as one of the most important factors influencing purchasing decisions—even ahead of high protein content and other health and ingredient claims. 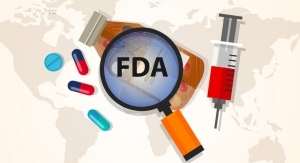 Consumers’ focus on inclusion or avoidance of certain ingredients underscores the deep push for more information about what goes into food products. 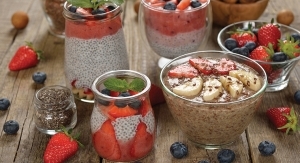 Transparency is a key trend propelling growth within the bar and snack categories, as more consumers seek ways to take control of their health through the use of products offering nutritious and recognizable ingredients. 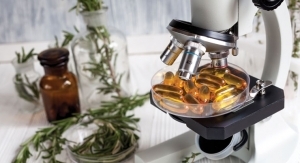 More products featuring natural, certified organic, and non-GMO claims demonstrates how manufacturers are stepping up to meet the consumer push for transparency. SPINS found snack products promoting organic claims saw significant growth in 2017, indicating companies are responding to calls for healthy, “safe” ingredients. 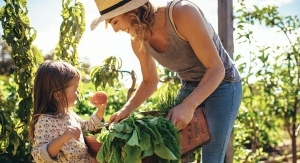 Across channels, organic snacks with 95-100% organic ingredients grew at a rate of 8.5% over last year, to $1.4 billion. Organic snacks in the convenience channel saw a significant increase, earning $16.8 million for 95-100% organic snacks, with its growth rate exceeding 126%. RXBAR has emerged as a prime example of transparent product formulation leading to sales success and consumer acceptance. The popular clean label protein bar brand, which launched four years ago as a small start-up in Chicago, promotes its products by including a short list of simple, recognizable ingredients on the front of its packages. 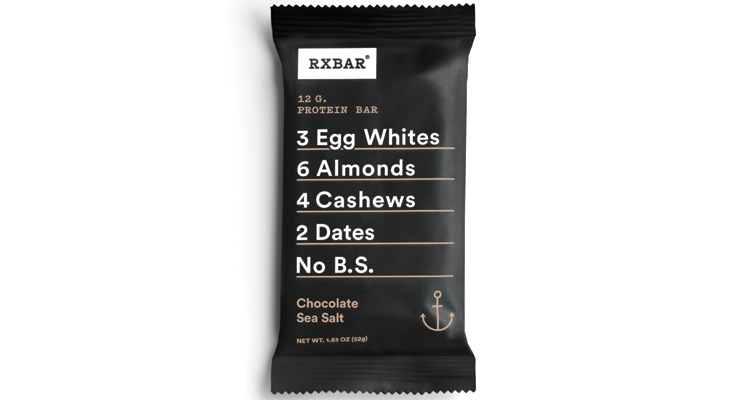 Along with ingredients like egg whites, nuts, and fruit, each bar boasts 12 grams of protein, 210-220 calories, and “No B.S.” Available in 11 varieties, the company also recently introduced RXBAR Kids, which include the same core ingredients in kid-friendly flavors and portions. This type of brand transparency has resonated with consumers, leading to a projected $120 million in sales in 2017. Big players in the food and beverage market have taken interest as well; Kellogg Company acquired Chicago Bar Company LLC, maker of RXBAR, for $600 million in October 2017. RXBAR Co-Founder & CEO Peter Rahal believes the future of the snack and bar space is in healthy and transparent product offerings. He predicted “continued growth in the category as demand for more clean-label snacks rises.” He added that millennials and urbanization are driving growth. “People are looking for more better for you, convenient snacks,” he said. Demonstrating the rise in “back to basics snacking,” Nielsen indicated that the “snackable” fruit and vegetable category is massive, with sales of $16.3 billion for the year ending May 27, 2017. Produce positioned within the “on-the-go” snacking sub-category earned $1.1 billion, posting a CAGR of more than 10% every year between 2012 and 2016. Among a variety of new product concepts, Mintel found that bars made with whole foods generated the highest level of interest in a February 2017 consumer survey. This, the firm said, was consistent with the broader trend in the grocery industry favoring fresher, less-processed foods. Mintel also pointed to refrigerated bars with fresh ingredients as a concept generating interest among one quarter of adults. As consumers seek out nutritious and convenient snacks, they are carefully checking food labels for sugar content. Elevated obesity rates and the rise of type 2 diabetes are driving interest in product formulations with less sugar. In June 2017, the New England Journal of Medicine found that over 2 billion adults and children are overweight or obese, and suffer health problems related to their weight. Concern about their weight is leading shoppers to consider sugar content in the products they’re purchasing. Mintel found 84% of adults in the U.S. claim to be limiting sugar, with most consumers stating weight management as the key reason. To meet this demand, leading clean label snack company KIND, New York, NY—well-known for its line of snack bars made with simple, nutrient-dense, ingredients like nuts, whole grains, and fruits, sold in a transparent wrapper—have recently launched KIND Fruit Bites, containing only fruit and no added sugar. With the front of the product listing three ingredients or fewer, and prominently boasting “No Sugar Added,” the fruit bites are also free from juices, purees, concentrates, preservatives, or GMO ingredients. Additionally, each pouch provides one full-serving of fruit, with ingredients such as apples, cherries, and mangoes. KIND also offers Pressed by KIND, a bar made with fruit, vegetables, and chia, with each flavor including five ingredients or fewer, and no added sugar. Providing two full servings of fruit, Pressed bars are available in Mango Apple Chia, Pineapple Coconut Chia, Pineapple Banana Kale Spinach, Apricot Pear Carrot Beet, and Cherry Apple Chia varieties. These introductions come as part of an initiative on the company’s behalf to reduce its sugar content across its entire product line. In August 2016, KIND became the first snack brand to publish its added sugar content across its portfolio, doubling down on its commitment to transparency. 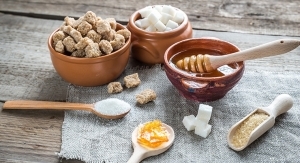 KIND intended to offer this information to consumers preemptively, ahead of the deadline set by the U.S. Food and Drug Administration (FDA) for food companies to specify the added sugar content on Nutrition Facts Labels. 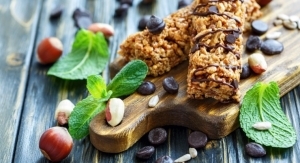 Mindfulness toward sugar consumption is also spurring interest in savory snack bars. 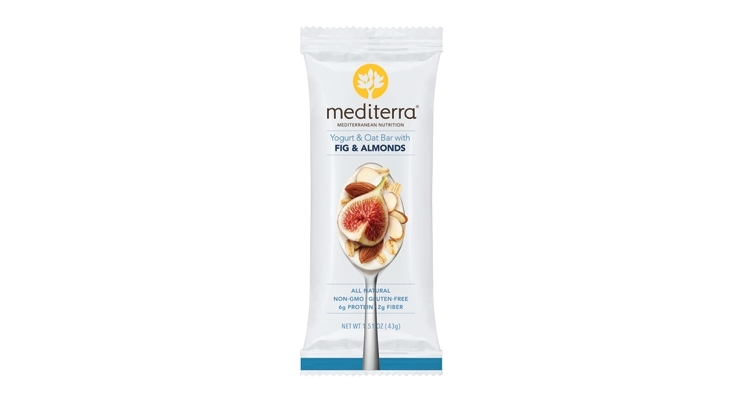 Mediterra Inc., New York, NY, offers a range of all-natural nutrition bars inspired by the Mediterranean diet. Recently adding new flavors such as Kale, Apple, Quinoa & Almonds; and Kale, Pomegranate, Quinoa & Almonds, Mediterra’s line of savory bars are non-GMO, gluten-free, certified Kosher, dairy-free, vegan, low in calories, and contain less than three grams of sugar. The bars also feature nuts, herbs, protein-rich pea crisps, and olive oil, providing five grams of fiber, and six grams of protein. Mediterra also introduced two new Yogurt & Oat bars in May of 2017. The brand’s Lemon & Walnuts and Fig & Almonds bars are bottom covered with yogurt-style coating, are all-natural, non-GMO, gluten-free, certified Kosher, and contain six grams of protein. Across all categories and formats, SPINS found protein snacks were propelling sales. Enthusiasm for protein-rich bars, chips, and puffs has contributed to 6% growth for products listing protein as a functional ingredient, rising to an annual $1.7 billion market. 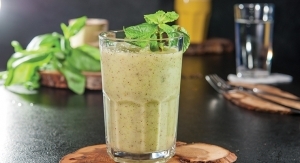 Interest in protein packed products has piqued interest from both a sports nutrition standpoint, as well as among those trying to manage their weight, those looking to maintain their satiety, and aging consumers looking to stave off age-related muscle loss, or sarcopenia. 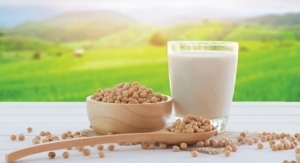 Growth of protein snacks has largely been driven by sales of products positioned as natural. SPINS found protein snacks within its Natural Positioning Group contributed an additional $115.4 million in sales to the category, and grew 17.5% across channels. The growing meat snacks trend in this category, for example, can be attributed to consumer interest in convenient, snackable, protein products. 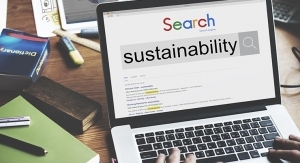 However, shoppers are seeking out brands with a natural, more artisanal flair, favoring locally raised, grass-fed, and organic products to the highly processed jerky snacks of the past. SPINS reported sales of labeled grass-fed, shelf-stable jerky and meat snacks showed significant growth in 2017, up 136.6% cross-channel, earning $38.2 million. 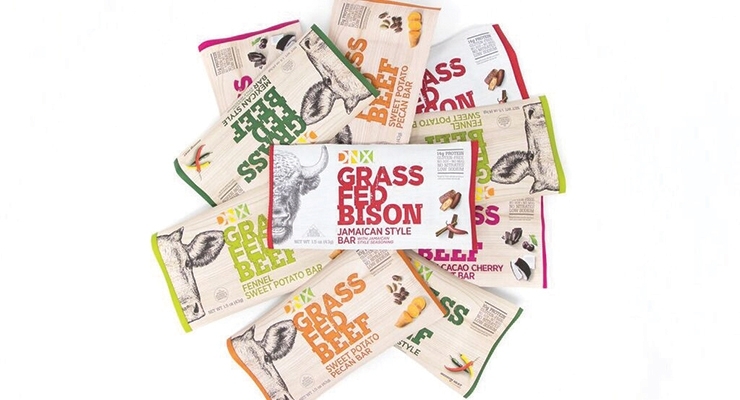 DNX Foods offers a line of grass-fed beef and bison bars, featuring 14 grams of protein with organic fruits and vegetables. The 100% grass-fed protein bars are shelf-stable for one year, non-GMO, free of gluten, soy, MSG, dairy, and added sugar, and are sourced from beef and bison raised without the use of antibiotics or added hormones. The bars, which are designed as a convenient snack, on-the-go meal, or post-workout protein boost, were recently approved as being compatible with the popular Whole30 diet. Looking ahead, IRI predicted the popularity of meat snacks would continue, contributing to the growth of sales in the natural snacking channel as a whole, particularly as the category branches out into the kid’s snacking space. 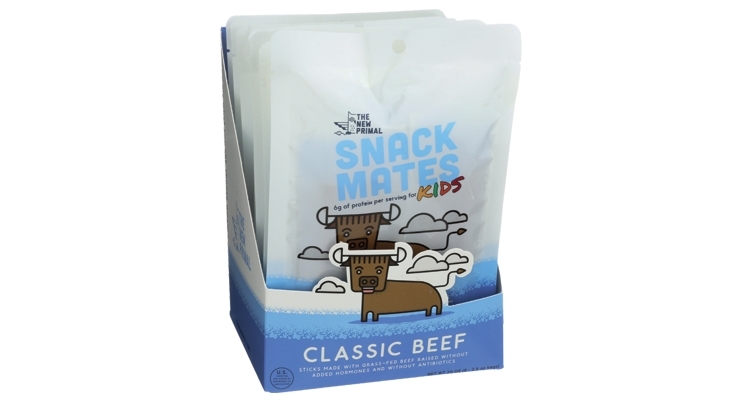 For example, the snack brand The New Primal, North Charleston, SC, offers Snack Mates 100% Grass-Fed Beef Sticks for Kids, with six grams of protein and only one gram of sugar per serving. The individually-wrapped beef sticks are designed to fit in lunch boxes, and are certified paleo, gluten-free, hormone- and antibiotic-free, and top-eight allergen-friendly. Utilizing collagen protein, NeoCell, Irvine, CA, developed a new Cookie Bar designed to offer beauty benefits. The Cookie Bars are a tool to replenish the body’s store of collagen, which can help reduce wrinkles, support skin elasticity, and benefit the body’s bone matrix. 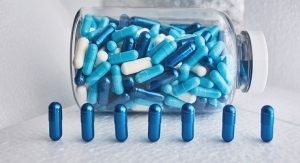 Collagen has also been linked to benefits for hair and nails. Available in Coconut Chocolate Chunk and Peanut Butter Crush, each bar provides 12 grams of protein and seven grams of fiber. Munk Pack Protein Cookies offer 18 grams of plant-protein per cookie from nut butters and grains. Gluten-free, vegan, non-GMO, and offering six grams of fiber per cookie, this snack offers a unique alternative to more traditional protein bars. SPINS also pointed to plant-based protein propelling growth for snack items across all channels. 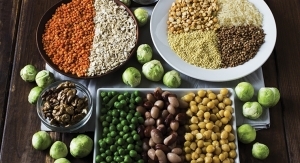 Use of plant-based protein as a functional ingredient grew 92.5% between 2016-2017, adding $58.8 million in sales to reach $122.4 million. The 2017 IRI Snacking Survey found energy was the top characteristic consumers were seeking from their snacks, according to 64.6% of participants. 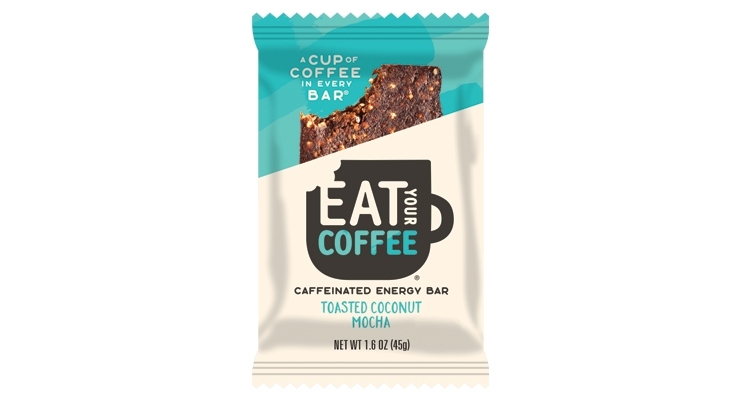 A few overtired college students at Northeastern University tapped into this trend, and concocted a unique energy bar combining the caffeine from one cup of coffee with the convenience and nutrition of a snack bar. Providing “ingredients found in your pantry, not the laboratory,” Eat Your Coffee Bars are made with whole foods and are organic, vegan, and gluten-free. Available in flavors like Fudgy Mocha Latte, Toasted Coconut Mocha, and Salted Caramel Macchiato, the bars provide a similar amount of caffeine as a real cup of coffee, with no synthetic caffeine. The brand uses real coffee with its own infusion process to get the coffee flavor and caffeine into the bar. “Other ingredients include dates, which are high in fiber and natural sugar, oats, almonds, almond butter, and nuts. It’s pretty simple, and gives you energy and a full cup of coffee,” said Mr. Fayad. The brand is now available in over 11,000 retail locations, mainly in New England, the Midwest and Texas, and it’s available across the U.S. via Amazon. The start-up recently received a jolt from investors, as the company announced it raised $2.5 million from an unnamed convenience-focused distributor. Probiotics have been a key functional ingredient in snack foods, including bars, drinks, spreads, chips, and more. GoodBelly, a Next Foods brand, has developed a probiotic on-the-go snack, featuring 1 billion probiotics of the strain BB-12. The bars are non-GMO, gluten-free, and require no refrigeration. Available in Cocoa Peanut Butter, and Honey Almond Butter varieties, the bars offer nutritious and recognizable ingredients such as quinoa, honey, nut butter, organic coconut oil, seeds, and healthy grains. Farmhouse Culture, Watsonville, CA, offers a range of probiotic-rich snack options including Gut Punch kombucha, sauerkraut, “gut shots,” and fermented vegetables. An innovative offering from the brand is its Kraut Krisps, a probiotic packed snacking chip available in Dill Pickle, Sea Salt, Smoked Jalapeno, White Cheddar, and Zesty Garden Veggie flavors. The chips are USDA organic, vegan, non-GMO and Fair Trade Certified. 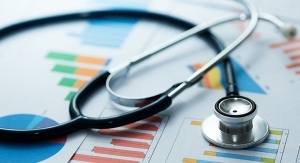 Bars and snacks targeting specific health needs are cropping up on store shelves, as consumers seek out products to support their lifestyle and healthcare needs. While some of these products may be more niche, they signify a broader trend in line with consumer interest in personalized nutrition. For instance, are you a lactating mother looking for a snack on the go? Then there’s a new bar for you. Boobie Bar was designed to support the nutritional needs of nursing moms, providing fiber, iron, and milk supply support with several key ingredients. The bar features turmeric to fight inflammation and support milk flow; moringa, a source of potassium, fiber, calcium, iron, vitamins A and C, protein, and antioxidants; coconut oil for “healthy fats” from lauric acid; and organic shatavari, known for its ability to support hormone balance and breast milk production in Ayurveda. For those consumers looking to manage their blood sugar, Stabilyze bars from Innova Nutrition Corporation, Bothell, WA, offer protein, eight grams of prebiotic fiber, high levels of 21 vitamins and minerals, and low net carbs. 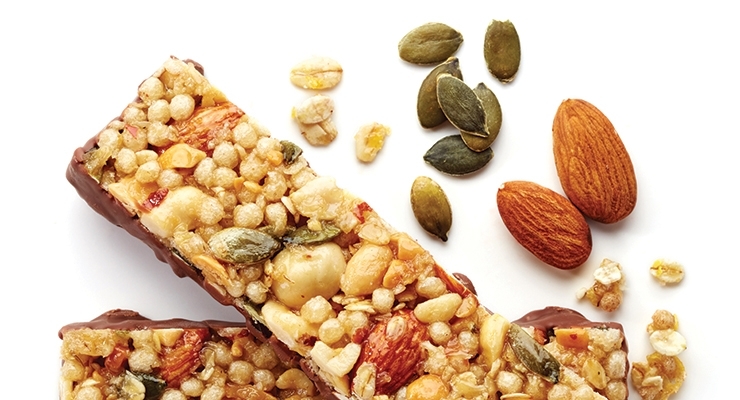 These diabetic-friendly bars are also gluten-free. And for shoppers worried about gluten consumption, or suffering from Celiac disease, The Gluten Free Bar (or GFB) is just that—a bar without gluten, featuring simple, non-GMO ingredients like Virginia peanuts, a complete protein blend of brown rice protein and pea protein, organic dates, and natural sweeteners. 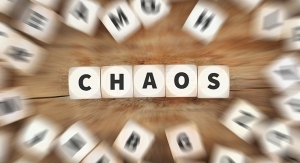 Looking ahead, IRI predicted three main trends that could drive growth across the natural channel. First, the firm pointed to new varieties of portable snacks making headway, citing as examples the introduction of frozen fresh juices, handheld farmers cheese snack bars from Yooli with a protein positioning, and nut smoothies with probiotics. Second, IRI forecasted continued success for the meat snacks category. Last, IRI said the theme of “holistic health” would propel snack products in the natural space, focusing on ingredients with ethical farming practices, sustainably harvested pulse ingredients, and continued probiotic enhancement to new products. 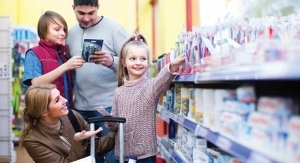 Additionally, IRI said companies in the healthy snack space should continue to focus on communicating ingredients in simple and effective ways to consumers while leveraging new flavors and product formats to keep them engaged. Discussing up-and-coming flavors in the snack bar category FONA International, Geneva, IL, pointed to growing interest in chia, quinoa, cake, butter, fruit, apple pie, cookie dough, pretzel, hemp, coffee/espresso, spirulina, flax, pumpkin seed, sweet and salty, and coffee/cappuccino flavors. 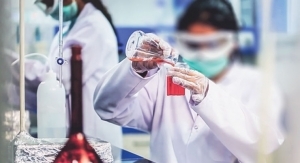 Industry experts discuss the complexities and challenges of testing and third-party certification.